Yes, it's And finally time, which means it's time to catch up on the best of the wearable and smart home tech rumours that you may have missed this week. We've got an Apple Watch patent that could give the smartwatch a big battery boost, a smart shoe for team sports and a big date you need to add to your 2017 calendar. These are the wearable news tidbits of the past seven days that you need to catch up on. A patent filed in 2016 and granted this month suggests that Nike is prepping to go big on building a smart running shoe. 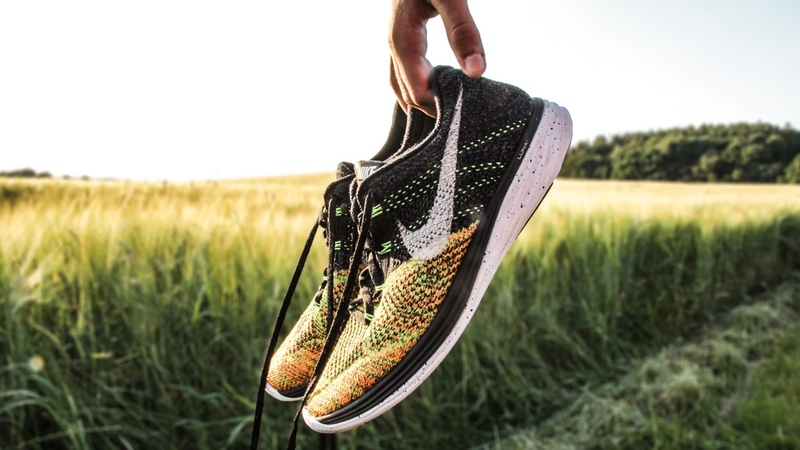 The patent outlines a wireless vitals tracking system embedded into a shoe that has the potential to track biometrics data in real-time including heart rate, blood pressure and energy expenditure. It also describes the concept of monitoring movement of multiple users, which could make it a good fit for sport teams. Sensor data would also be able to correspond to sports equipment as well to possibly indicate speed and position of a ball. Apple is looking at the idea of using the digital crown on its smartwatch as an alternative charging solution. The "Connector-free magnetic charger / winder" patent published at the US Patent and Trademark Office describes how turning the crown can convert to energy to help keep the Watch powered. With the Apple Watch currently able to muster around a couple of days of battery life, it could definitely do with any help it can get on this front. Visa and IBM is teaming up so you'll soon be able to buy things with more of your wearables, smart home devices and cars. Visa will be using IBM's Watson IoT platform to allow developers add mobile payment technology to devices and also talked up the prospect of a pair of shoes embedded with a chip that alerts runner's fitness tracker letting them know how many miles they've logged and when it's time to buy a replacement pair. Mark your calendars, Apple has announced that this year's Worldwide Developer Conference will be taking place on 5-9 June at the McEnery Convention Centre in San Jose. This is where we can expect to hear more about the future of the Apple Watch and while it's generally dominated by software announcements, we have seen the odd piece of new hardware crop as at conferences in the past.